Planning For A High-Altitude Trek? Then Buy This Amazing Shoe Before You Hike! Quechua Forclaz 100 is a great waterproof shoe for high-altitude trekking. This shoe is very sturdy, brown in colour which makes it look like rough 'n' tough but feels super light upon wearing them. Forclaz 100 costs around INR 4000, and Forclaz 500 costs around INR 6000, while there is also a lower version Quechua that costs around INR 2000. 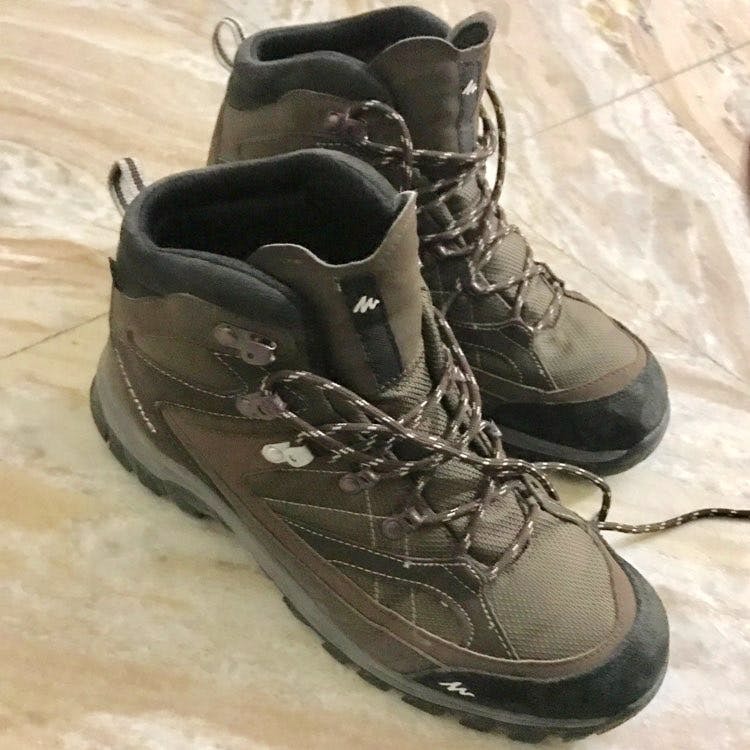 But the lower version looks a lil' cheap and also it's not recommended for high-altitude hikes because it doesn't provide high ankle support. It's a lil' bit costly but available at all Decathlon stores. Quechua Forclaz 100 is highly recommended for all difficult treks. As high ankle support is necessary if you don't wanna to twist your ankles while hiking and want to enjoy all the beautiful moments.